George located a limited number of the Master Volume chassis and metal panels. So we put some parts together to bring the kits back. 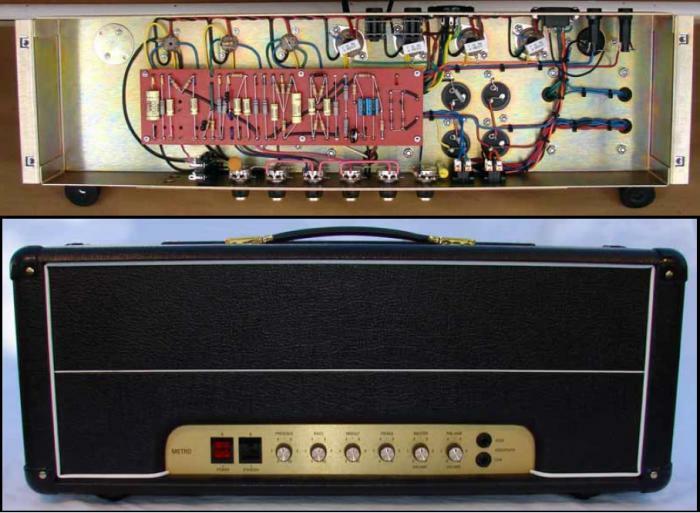 I followed the link to the build checklist and did not see any Head Cabinets for the Amp chassis. Are the Head Cabinets available anywhere as pictured with the white piping? vkaxeman wrote: I followed the link to the build checklist and did not see any Head Cabinets for the Amp chassis. Are the Head Cabinets available anywhere as pictured with the white piping? Sorry, I have not been stocking those. The large head cabinets we sell (out of stock until about 11/1/2014) would work, but they are not period correct. I will ask the cabinet maker about the correct ones. Re: "I will ask the cabinet maker about the correct ones." We do not have any of the MV chassis on hand. We discontinued these because there was no source for the metal panels for them. I would be interested in hearing from folks who would buy the chassis without the panels. This is a long shot...but any chance there are some of these chassis available...from anywhere?? There seems to be enough interest in the chassis that ValveStorm will re-establish the availability of the MetroAmp MV chassis in early 2016. We also offer the MetroAMp style turret/eyelet boards for them. Mojotone already offers the correct head cabinet for these. The question is what do folks want for the panels? We could make plexi-style panels that would work, but there is no source for the original Metro metal panels. There is an alternate source for metal panels, but they are pricey at $120 per set, AND the back panels would be limited to a 24 inch width, which would require Mojo to make a custom back panel for their cabs to accommodate. Hey Valvestorm, are you still planning on restocking these chassis in the New Year? Yes! These are now available again!